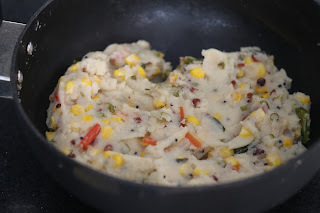 Learn how to make Veg Corn Upma recipe, a very simple, healthy yet absolutely tasty breakfast recipe. Upma is one of the popular breakfast recipes made in India. 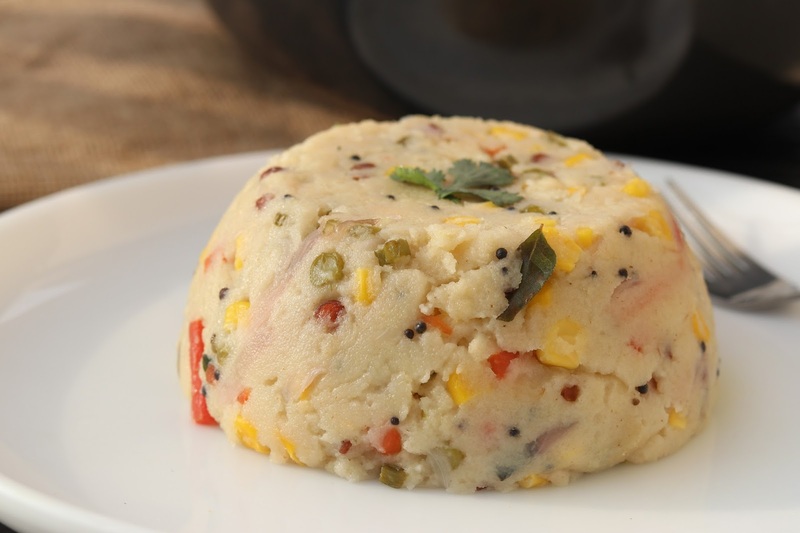 Rava upma or sooji upma is loved by all kids in lunch. 1. Dry roast semolina on a medimum flame till colour changes to little brown and give out nice smell. Once done, remove from kadai. 2. Heat 1 tsp oil and splutter mustard seeds along with both pulses. Saute for 1 min and add curry leaves, green chili, onions along with all vegetables. Cook for 1 min on medium flame. 3. Add 3 cups of water along with lemon juice and salt. Boil this mixture. Once boiled, add corn kernels and cook for 1 min. 4. Gradually add roasted semolina and continuously stir it to avoid lump formation. Continue to stir till water dries up.